Caulk is often the lifeblood of home repair and remodeling participants. Caulk can seal everything from wood to metal to glass. The problem with caulk is that it is usually found in about three bland colors: white, gray or tan. Caulk does not have to be boring, though. With a little color and a few minutes, caulk can become as bright as the backdrop it is helping to seal. 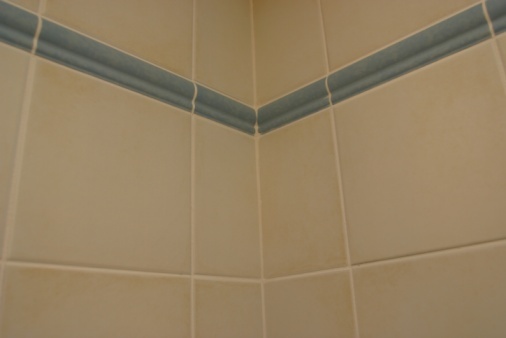 Creating colorful caulk is something that anyone can do to complement a new project or give a face lift to an old one. Cut the bottom of the caulk tube and squeeze all of the caulk onto a plastic surface for mixing. Mix your desired water-based latex paint thoroughly with the white caulk. This latex paint can be found at any home improvement retailer. Put the colored caulk back into the tube. Secure the bottom of the caulk tube with duct tape or heavy clamps. Cut the tip of the caulk tube and begin using the colored caulk. Jeff Dickinson has been writing professionally for 19 years. He began covering sports for The Huntsville Times in Alabama and moved to Atlanta in 1997. Dickinson worked in corporate communications for seven years before beginning his freelance career in 2005. He covers football for the Marietta Daily Journal and FANatic Sports and writes for a variety of websites. Can Bleach Be Used on Caulking?